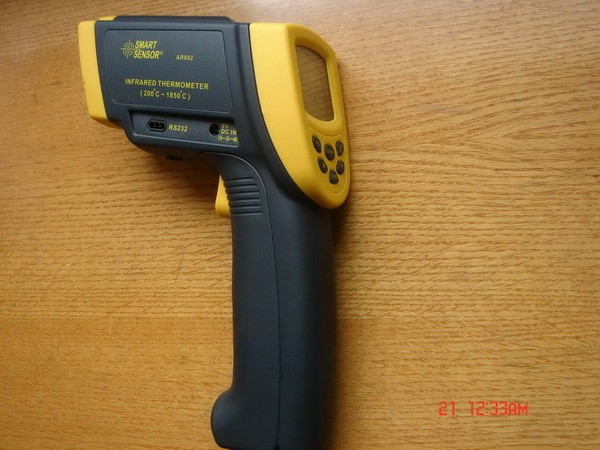 Function: Infrared thermometer measures the surface temp-erature of an object.The unit’s optics sense emitted，reflected，and transmitted energy which is collect and focused onto a detector. The unit’s electronics translate the information into a temperature reading which is displayed on the unit. For increased ease and accuracy the laser pointer makes aiming even more precise .